Calling all Superheroes! 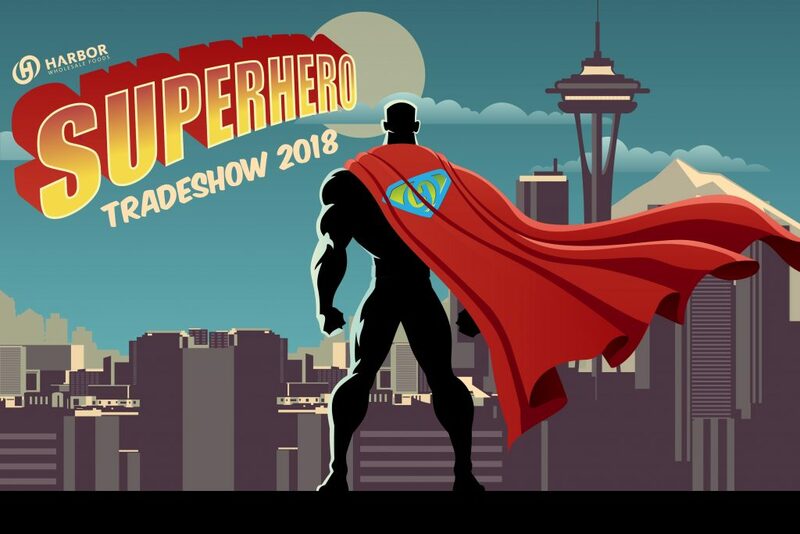 The 2018 Harbor tradeshow is upon us and this is the can’t miss event of the year. The show will provide the ammunition you need to defeat the challenges in the business and create a winning strategy for 2018 and beyond. Aggressive pricing and promotions – Exclusive, show only deals to enhance your profits. Merchandising and marketing solutions – New programs and ideas to keep your stores fresh. New items – The latest and greatest new products. 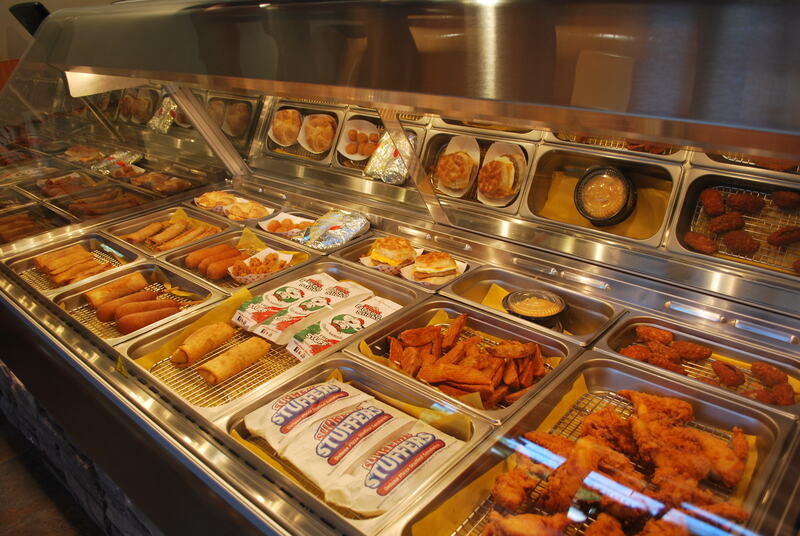 Foodservice – Sample, try and buy new products in the fastest growing area of the business. Fresh and healthy foods – Consumer tastes are changing, we have a great selection to meet demand. Coffee program – We have new tricks up our sleeve! Come see and taste for yourself. Educational seminars – Discover new ways to improve profits and differentiate your stores. Technology – Learn about new tools to simplify ordering and gain access to business insights. Our Washington show is March 15-16th and Oregon is March 30th. The show will be fun, engaging and deliver results to help you differentiate your stores, enhance profitability and improve your overall business. Thank you for joining us, we are excited to see you at the show! 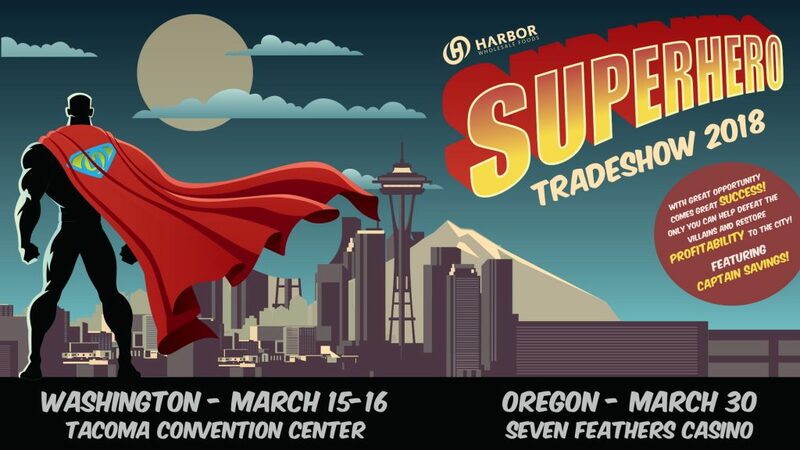 Are you attending Harbor’s Tradeshow? Make sure and check out these awesome new vendors! 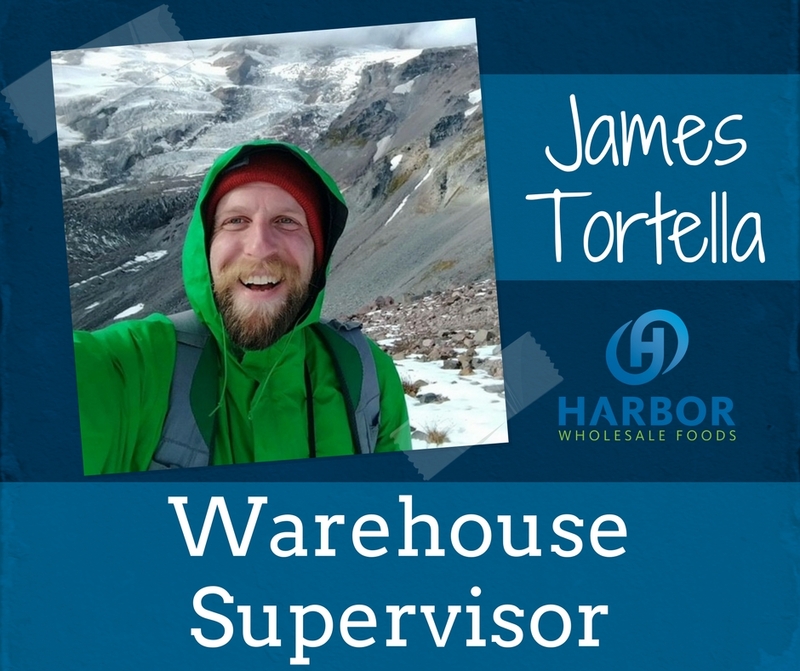 James is a Zones Supervisor in the Warehouse and has worked at Harbor for 2.5 years! Read about his Path Of Progress and his thoughts on building your career at Harbor. Q: What roles have you had at Harbor? J: I started here at Harbor in the cig department and once the opportunity to pick cases came up I jumped on it. After doing that for a while I noticed an opportunity to get into picking in the freezer so I made sure I mentioned that to my manager and I eventually transitioned to freezer. I always took a lot of pride in my board building. I wanted my boards to look nice and be stacked nice so that I wasn’t making the drivers job any harder than it needed to be. That was noticed and I got an offer to train people on how to do that. Eventually my work ethic that I would have to thank my father for was noticed as well and I got offered the zone supervisor position which I jumped on. Now I can help more people and the warehouse, as a whole in so many more ways. I really enjoy being helpful and I couldn’t be more thankful. Q: How did you make the transition from where you started to where you are now? J: When I applied here I was determined to make a career for myself. I wanted to find a job that enabled me to move up into new positions. I also wanted to work in an environment that I truly liked. That’s a priority to me. It didn’t take me long to realize Harbor had and was it. Once hired I made sure I worked hard, that I was doing my job the best I possibly could and stayed focused. Q: How long have you been with Harbor? J: I have been at Harbor for about 2 ½ years now and cant wait to add some more years to that. Q: Any advice for getting your career started at Harbor? J: My advice to anyone that wants to advance would be to be the best you can be. Ask questions and listen so you learn, take pride in what you do so that you produce quality work, stay dedicated and even though some days are more tough than others, don’t get discouraged and stay positive. Q: What do you think is the most important quality to have to get your career started at Harbor? J: Take pride in whatever it is that you do, wherever you’re at and it will get noticed AND it will just be a great feeling knowing that you are doing your best. 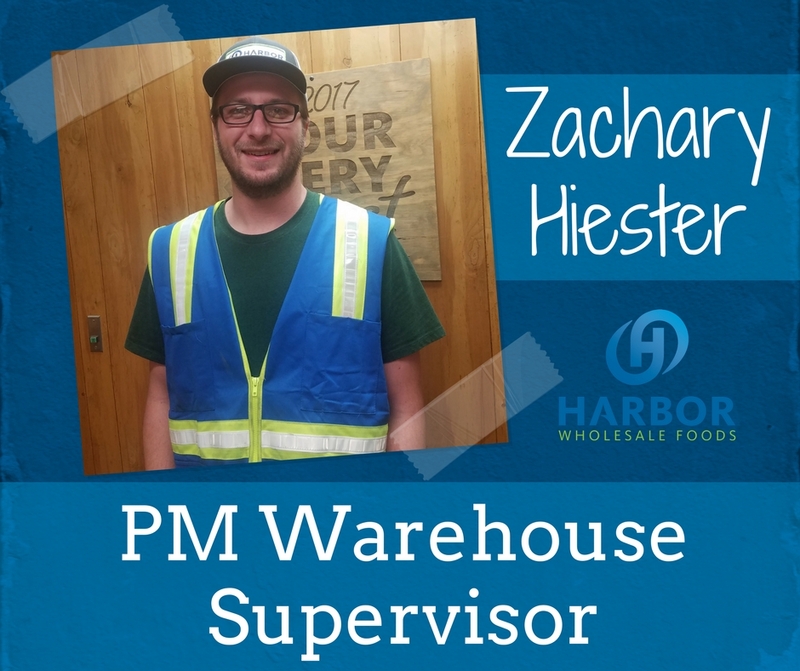 Zachary works in RDC as a Warehouse Supervisor. During his time at Harbor he has worked a few different roles, and had some great thoughts to share about getting your career started at Harbor. Q: What roles have you held at Harbor? Z: Utility/I have picked everywhere/Stamped Cigs/Consolidated/Inventory Control/PM Warehouse Supervisor. Z: Aaron hired me into a PM utility position. I picked up boxes for a couple of months and then moved into eaches as an order selector. While working in eaches I was crossed trained on just about every PM position. After about a year, a position opened up In the freezer. I did that for another year or so. From there I moved into Inventory control. I learned a lot about how the AM shift worked while in that position, as well as learning a lot about the company in general. I did that for I believe close to 2 years. Then, a few months ago, Chris Ritter and Leon Dillon approached me with a promotion into a PM supervisor role. I gladly accepted. And that is what I am doing now. Q: Any advice for advancing your career at Harbor? Z: For me, a willingness to work and a willingness to learn, has worked pretty well. Don’t be afraid to take on a big or important task. Just be you, and be willing to learn and teach and your positive qualities will come out through that. This will be recognized by not only your supervisors and managers, but also your peers. 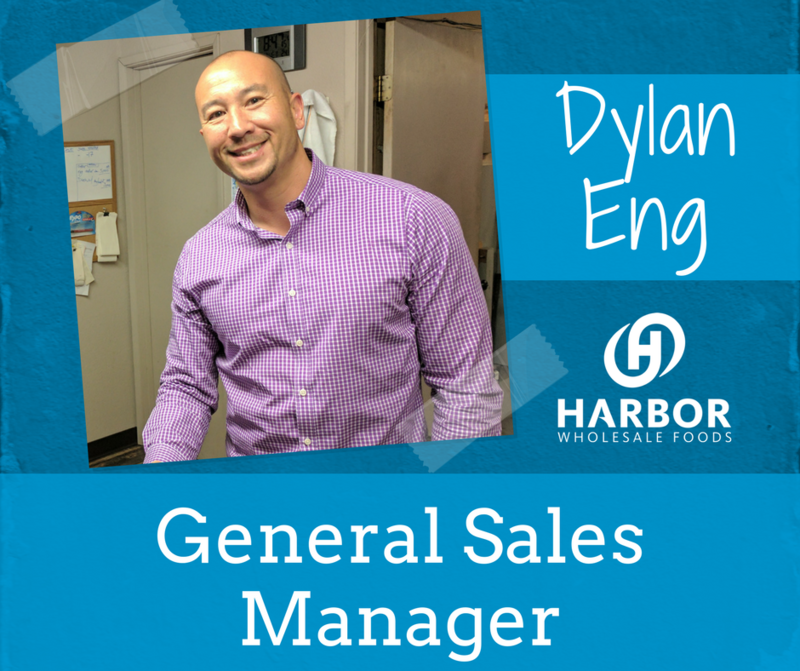 Dylan is currently the General Sales Manager of Harbor’s Eastern Sales Team. When he began at Harbor he started in a very different role. D: My introduction to this industry started 9 years before I had heard of Harbor Wholesale Foods. In 1995 I started loading box trucks with retail and foodservice items. My responsibilities increased from Truck loader to Order Selector to Dairy and Produce Buyer to Stocking Manager and finally, Director of Operations. My previous employer was acquired by Harbor on April 19, 2004. I started a very new role for me, Territory Sales Manager. Q: And advice for advancing your career at Harbor? D: Perform your job to the best of your abilities, help others when you can and have your employers best interest in mind. It will pay off. Q: What do you think is the most important quality to get your career started at Harbor? D: A desire to serve your customer. Your customer is the person your work impacts. A Truck Loader’s customer is the Delivery Driver. A Stocker’s customer is the Order Selector. Your customers are the people you work with every day to make your department and company a success. 7. See our Zone Programs in person and sign up for them at the show! 8. Come hang with your favorite Harbor rep and the Harbor Sales leadership! Say hello to our CEO as well! 9. Try loads and loads of tasty new food items! 10. Best deals of the year! 12. Dress up, and have fun with the superheroes theme! 21. Come see, taste and learn about the Watertown Coffee Program, and be there for the Northwest debut of our new coffee program Split Shift! 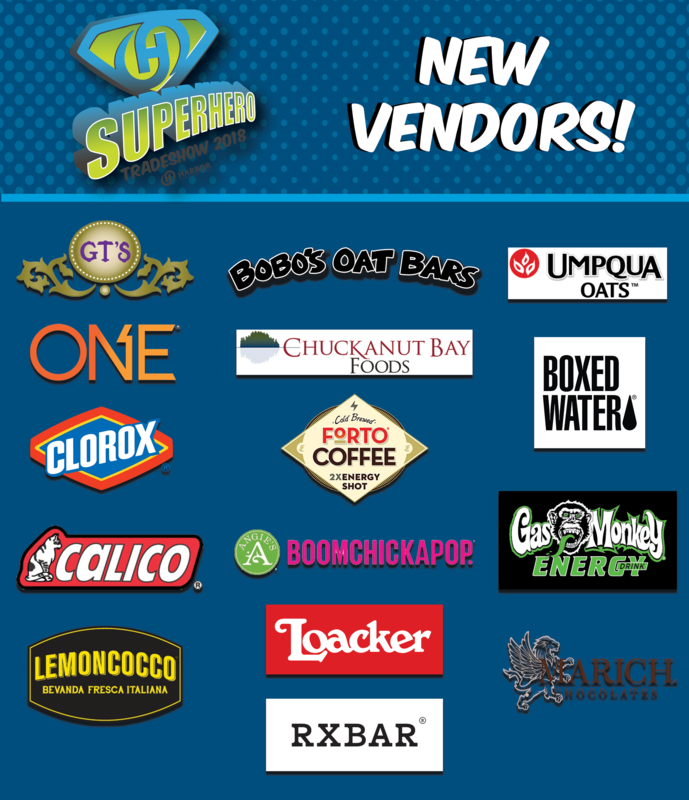 Local Vendors At Harbor’s 2018 Tradeshow! 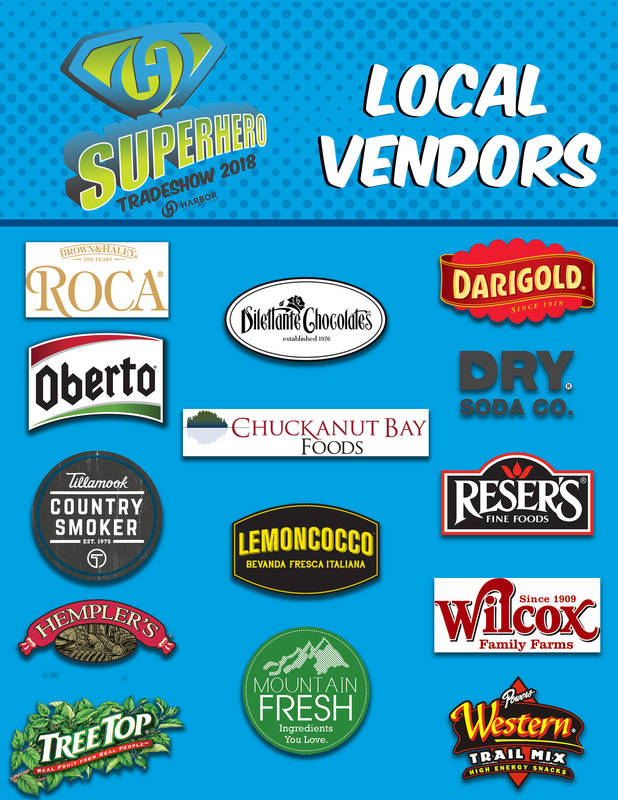 Check out this local vendors that will be at Harbor’s 2018 Tradeshow with the latest and greatest C-store products! Be sure to visit their booths when you’re at the show. 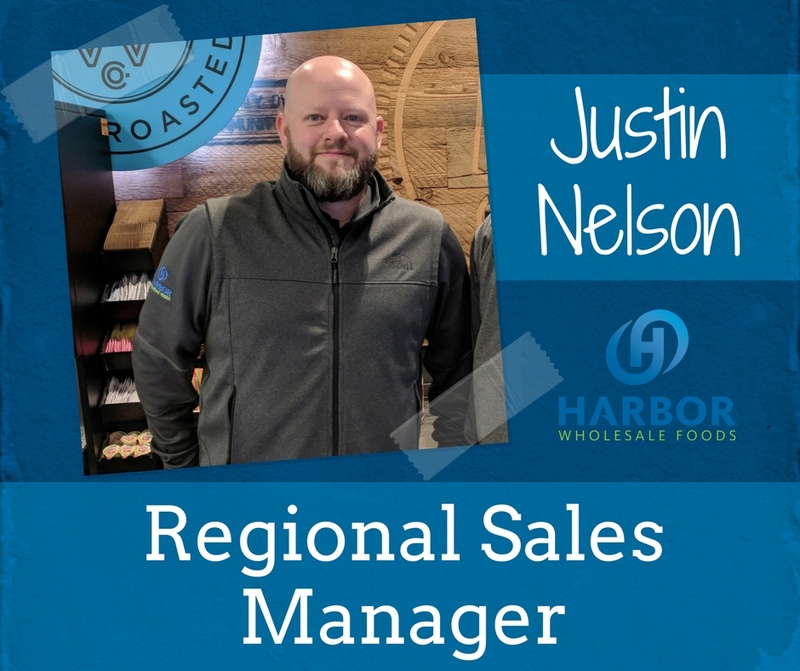 Justin has been with Harbor since July of 2015, starting as a Territory Sales Manager and them moved into the Regional Sales Manager role. Continue reading to learn more about his path of progress at Harbor and how he transitioned into his current position. J: My transition into my new position was smooth as I had prior experience as a sales manager, and felt like had great training here at Harbor. J: Learn as much as you can in all aspects of the business. Work with Territory Sales Managers, Drivers, Store Solutions, Warehouse, Buyers, Credits, Customer Service, Marketing, Accounts Departments. J: Before my current position of Regional Sales Manager I was a Territory Sales Manager. J: The want and willingness to learn. This business is always growing and changing and being able to and wanting to learn is key in being successful. Are you wanting to increase savings on your Foodservice or concerned about the cost? Ingredient based foods lower costs and increase margins on the finished product. Selecting ingredients to create a product rather than buying finished goods can significantly increase savings and profit on the items. Create a destination by adding signature items on your menu. Try building a unique flavor profile by using a theme or regional ingredients. Or, tailor your menu to a specific customer base. This can build consistency and result in repeat customers. A unique menu will bring more people into your store. Planning to meet market conditions can also save money in the long run by reducing labor costs. Maximizing deli labor efficiency with planning and food prep will help your store to prepare for customers, and will prevent team members from rushing to prep food. Making a menu modular and creating portions ahead of time can generate savings on its own as well. Harbor can also assist your store in creating recipes for portion control and consistency. This will result in food items made the same way each time, create and appearance and taste your customers come to know and expect, and save on cost with labor and ingredients. Harbor is here to help your store be successful, and creating recipes can make your store a destination for delicious Foodservice. If you’re interested in adding or improving your Foodservice, or just curious about what Foodservice Harbor has to offer, schedule an appointment with your Sales Rep to learn more! A customer placed an order with Harbor, now what? The order takes a unique journey through the company, involving multiple departments to end up at its final destination- a customer’s store. A critical part of getting that product to its destination is the Order Selection department, where 80 dedicated teammates work nightly. Starting the order process, customers place an order with Customer Service which is then passed off to Order Entry to verify the order. After this, Operations releases the order on its route to the Warehouse Management System for pick labels to be printed. An Order Selector then reads the transaction order on their headset, which directs the Order Selector where to go and what to pick. Once the order is completed it goes to Consolidation for further processing and loading onto the truck for delivery. This may sound simple, but there is much more that goes into picking the items for delivery. The headsets mentioned above, are the most unique part of the job. These computerized headsets help them to pick the orders, and can be totally personalized to the wearer’s preferences, even down to the voice template. As long as the wearer uses the software every few months, it will remember the user and the software will adjust to respond to the words the user uses. For example, not everyone says ‘ready’ to get the headset going and may use ‘go’ instead. While the headset requests you say ‘ready’ to get it going, it will respond to ‘go’ and get the order going if that word is used frequently. The software also responds to different accents. After getting the headset started, the Order Selector reads the last four digits of the order they are working on, and from there the headset tells them what aisle to go for the specific items on the order, and then how many need to be picked. When the item is found, the Order Selector then reads the UPC to verify the right item is being picked. This process repeats until the order is finished. Every order takes a different amount of time to pick, as items may come from all different areas in the Warehouse. 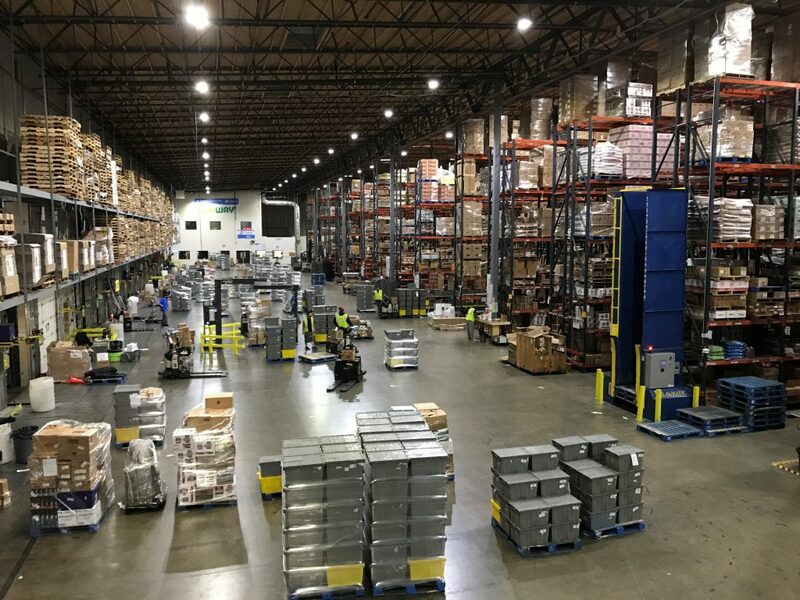 The goal is to have all the different sections finish the order around the same time, having the Freezer finishing first, then the zones with tote picks and then cases, and finally the order can be sent to the dock to delivery trucks. 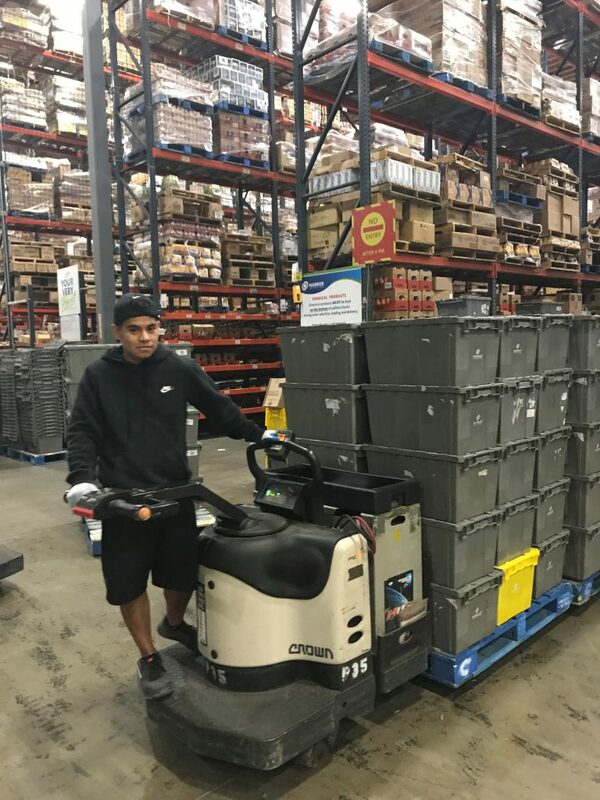 The Order Selector role uses a lot of technology that benefit both Harbor and our customers, like the semi-automated conveyer system (soon to be much more automated! 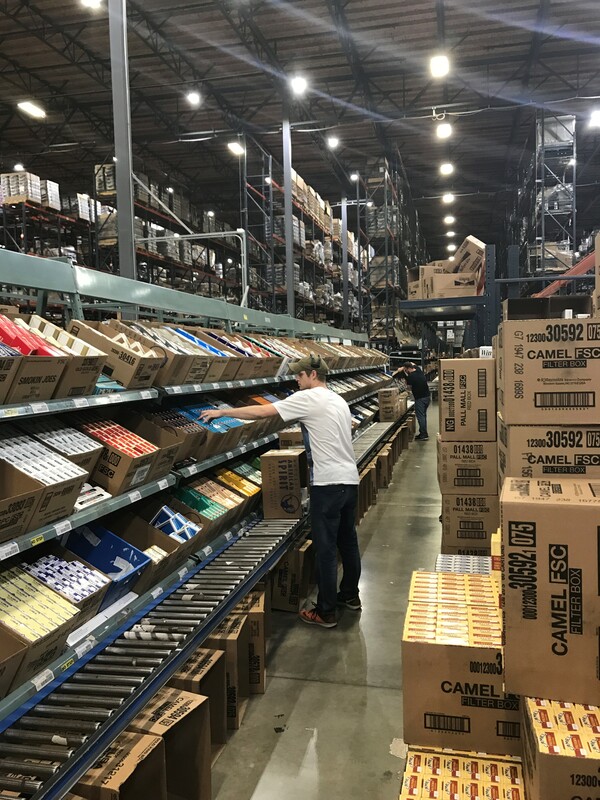 ), headsets, barcode scanners, intricate warehouse management system, automated pallet dispenser, and automated shrink wrapper to protect customers product. Over the years this department has changed a lot. In 2006 Harbor switched to voice directed picking system, moving away from picking on paper which involved hours of hand data entry. The voice automated system has reduced this dramatically, making the Order Selection process far more efficient. The Order Selectors at Harbor are critical in getting the product to customers. The Order Selection department is constantly evolving and changing to make the process more efficient both for Harbor and our customers helping them to be as successful as possible.